Emory's Gregory Ellison is one of a handful of faculty featured this week in a Chronicle of Higher Education story about dedicated scholar-activists who balance their commitment to social change with life in academe. 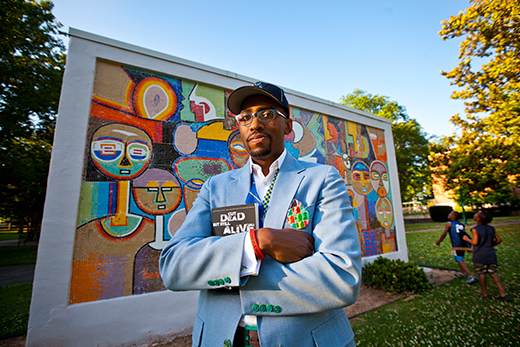 Ellison, associate professor of pastoral care and counseling at Candler School of Theology, was interviewed about his work with the organization he founded called Fearless Dialogues, which "brings together unlikely groups of people—pastors, gang members, government leaders, drug dealers, and students, for instance—to discuss the issues that plague young black males and come up with ways to improve their communities." Candler Dean Jan Love, who also was interviewed for the story, says one of the school's intentions "is to shape public debate about pressing moral issues of the day."